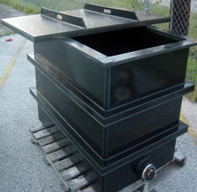 Our rectangular custom tanks come in many different sizes and dimensions. 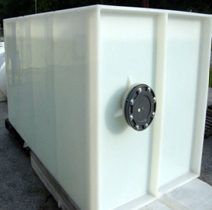 These tanks are completely enclosed tanks tanks that can customized with connections to fit your needs. 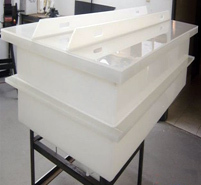 All of our tanks are made with FDA approved resin. 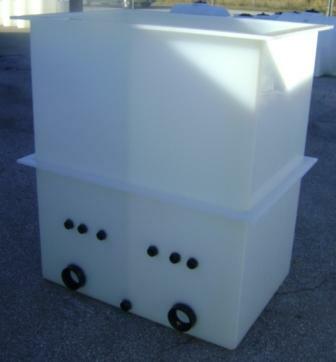 We also offer these tanks in polypropylene. 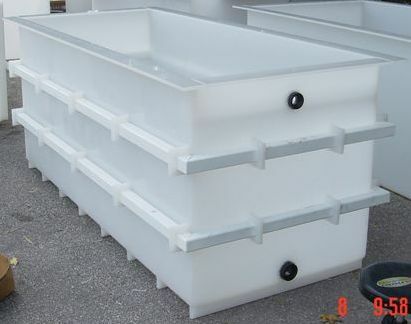 Another great feature of these tanks is that you can rotate them any way to fit your space requirement. 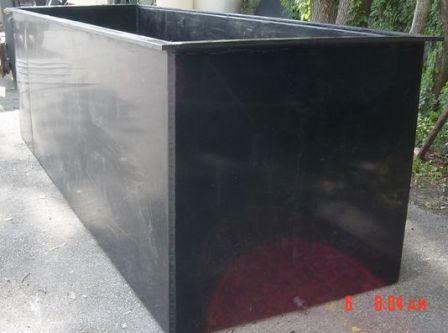 Contact our sales staff for any questions regarding our rectangular custom tanks. 888-686-8265!